After a wait of one month, my eyes were graced with the spectacular visuals of movie – Bahubali, a visual feast for epic movie lovers. The magnificence of this movie is so enormous that it difficult to figure out whether it is actually an Indian movie made with the brilliant technical team that would surpass even Hollywood movies like 300, braveheart, kingdom of heaven and Ben hur. This is one of the most expensive movie ever made and its making itself took 3 long years. Bahubali is the saga of clash between two princes – Amarendra Bahubali and his cousin brother Bhallaldeva to rule over the kingdom Mahishmati. Amarendra Bahubali is a kind hearted prince who cares for the welfare of people of mahishmati while Bhallaldeva is a shrewd, cunning fellow who will go to any means to kill bahubali and usurp the kingdom. The story is told in flashback by kattappa, a trusted soldier of mahishmati to Shiva, the son of bahubali. The climax is shocking as kattappa finally reveals the truth that he is the traitor who killed bahubali. 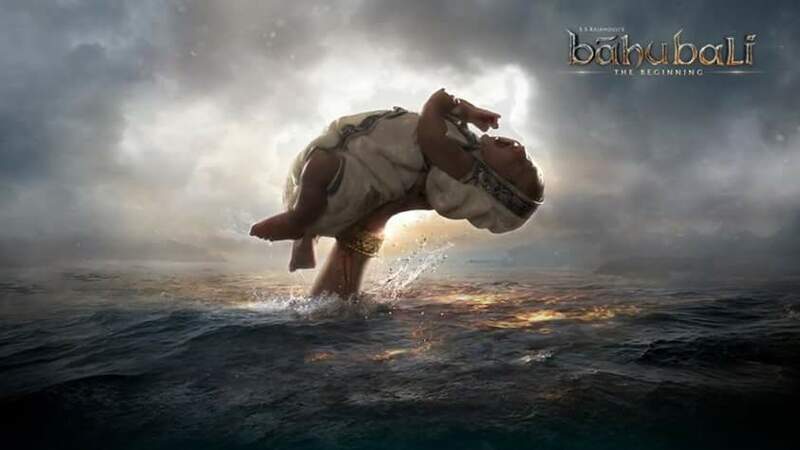 To know the epic conclusion we have to wait for next year for release of bahubali the conclusion. This spectacular epic movie will remind you of movies like king Arthur, lord of rings, 300: rise of an empire and gladiator. A special praise to the genius director s.s.rajamouli and his team to transform the story of bahubali into a big motion picture on 70 mm screen. S.S.rajamouli is the genius who gave us movies like magadheera and eega. Actor Prabhas looks convincing in the title role of bahubali and his hard efforts can be seen in the movie. This movie is visually scenic, especially the waterfalls and the massive battle ground on which bahubali battles with his enemies, the scenes are shot to perfection. This movie reminded me of the book – immortals of Meluha written by author Amish Tripathi. Even immortals of meluha had epic battle scenes which are written beautifully by author Amish. If you have penchant for epic movies, then bahubali the beginning is really a must watch movie. It’s a visual treat.